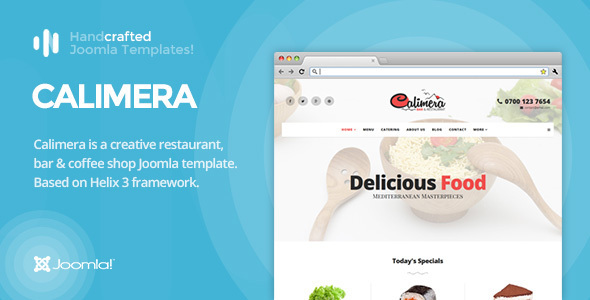 Calimera is a trendy Restaurant + Bar + Coffee Shop Joomla template. The name Calimera comes from the greek word "Kalimera" ("good morning" in both Greek and Griko). Our initial idea was to build a fresh and modern restaurant/ bar template. Calimera is a perfect match for any site in the food industry offering great number of features. Built on the powerful Helix 3 framework, Calimera will take your restaurant to the next step.